In my recent quest to make Friday Night Pizza more interesting than the usual “Raj’s Pizza,” comprised of red sauce, pepperoni and mozzarella (for the past six years! 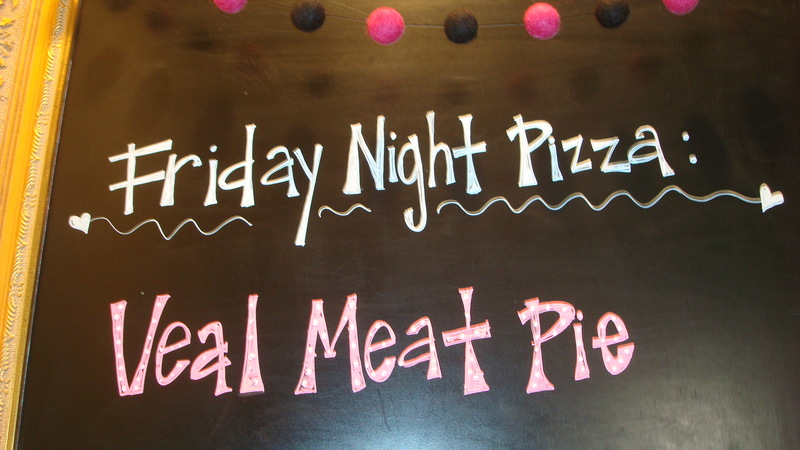 ), I’m continually seeking out pies that will sway Raj towards variety. The latest, a Veal Meatball Pie, was amazing, but WAY too much work for anyone who works, has a life, hobbies, a dog that needs walking… The recipe is comprised of FIVE separate recipes (which I had to break down between two days) if you count making the pizza dough, sauce, meatballs, caramelizing the onions, and compiling the pizza…but for those of you with lots of time and motivation, knock yourselves out. Raj says this is a keeper–but then it would have to be relegated to Saturday Night Pizza–he won’t be seeing the likes of this pie anytime soon. 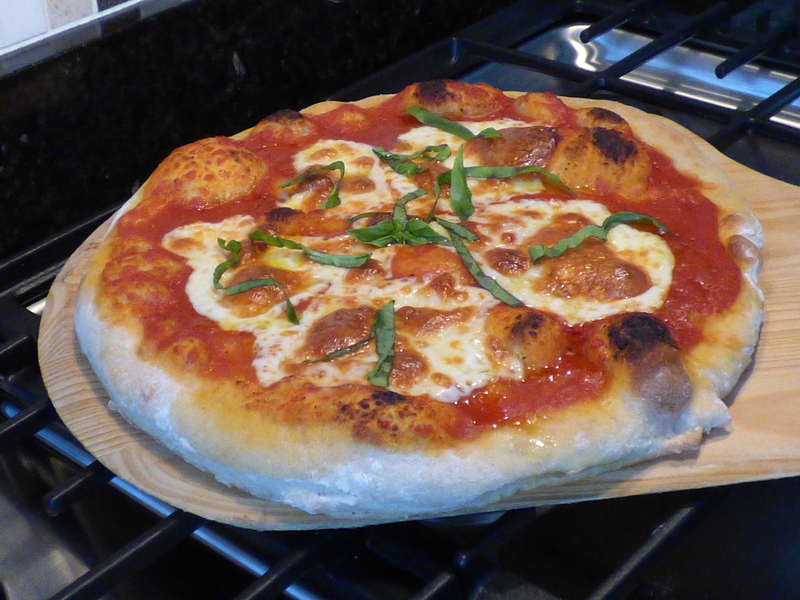 Put pizza stone in oven about 8″ from broiler. Preheat oven on bake at 5oo degrees for 30 minutes. Switch to broil for 10 minutes. 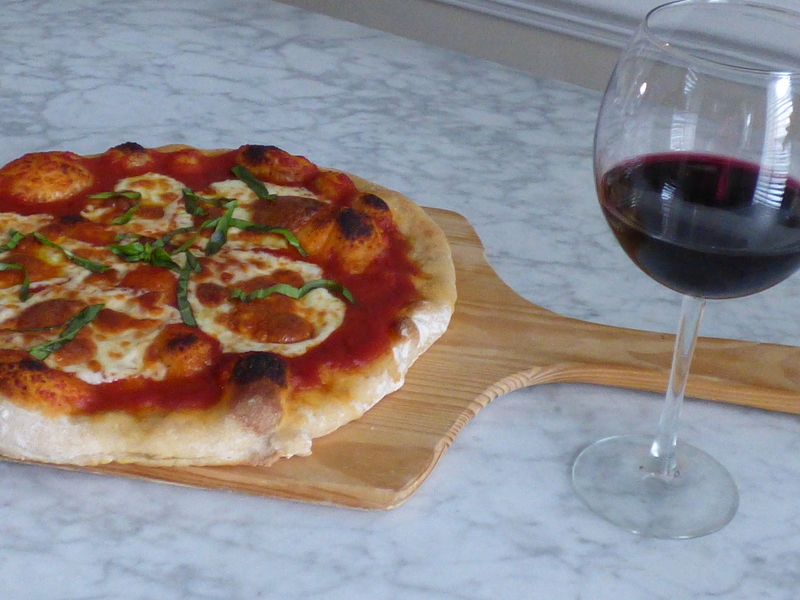 Place dough on pizza stone (you can also assemble the pie on a peel and then slide it onto the stone, but I’ve never had luck doing this), spoon tomato sauce over surface and spread evenly, leaving about an inch of the rim untouched. 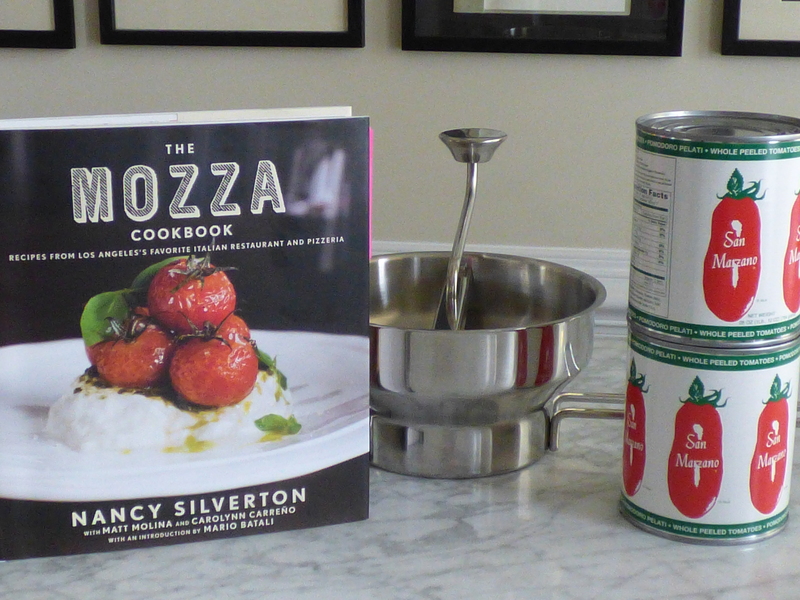 Distribute mozzarella over the sauce. Space meatballs evenly over the pie. Distribute the onions evenly on top, then the olives. 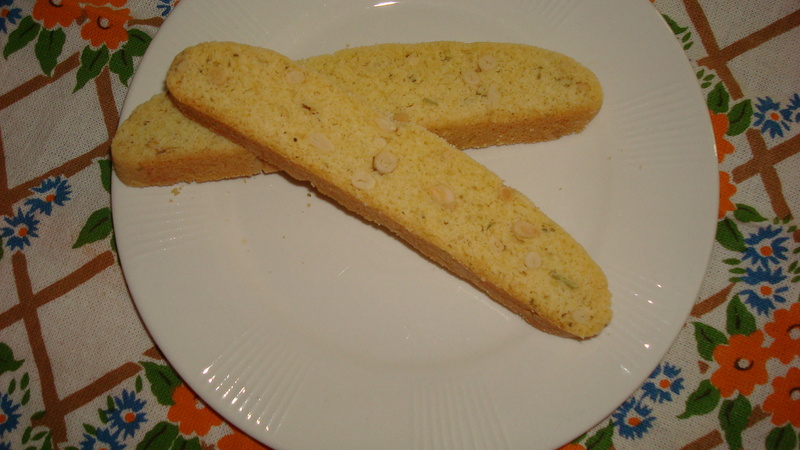 Sprinkle the Parmagiano. Broil for 4 1/2 minutes under gas until the top is bubbling and the crust is nicely charred but not burnt. 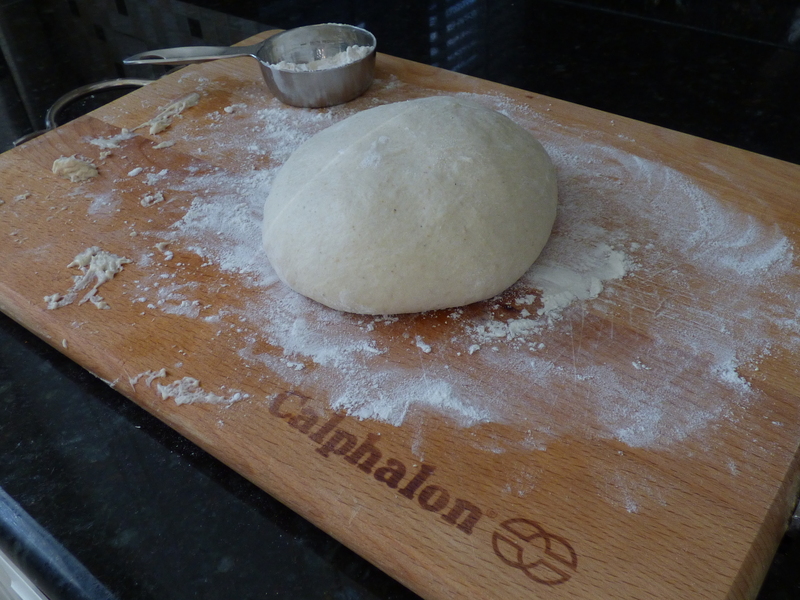 Using the peel (yes, I use it here with the help of a spatula), transfer the pizza to a cutting board. 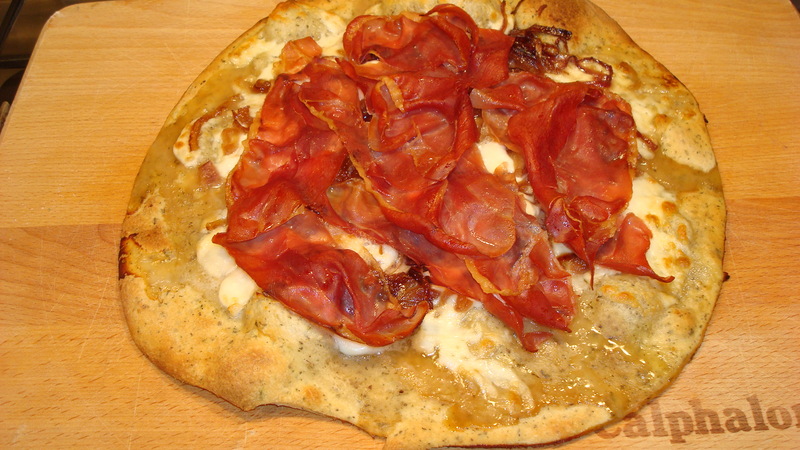 Sprinkle additional Parmagiano over the pie. Slice and serve immediately. 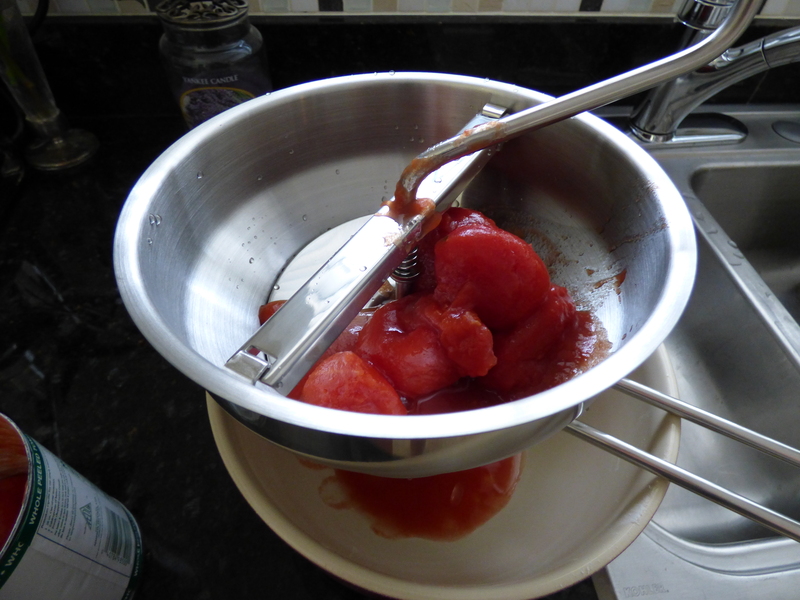 Using your hands, squish the tomatoes in a bowl. Bring salted water to gentle boil in medium saucepan and cook the potato until tender, 20 to 25 minutes. Drain and then pass through food mill (which I don’t have so I grated it). 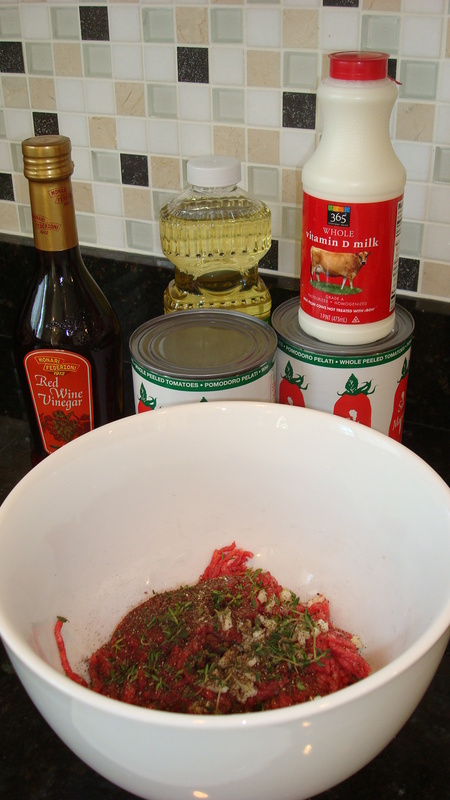 Add the veal, salt, pepper, garlic, thyme leaves, and milk and blend thoroughly, but gently, with your hands. 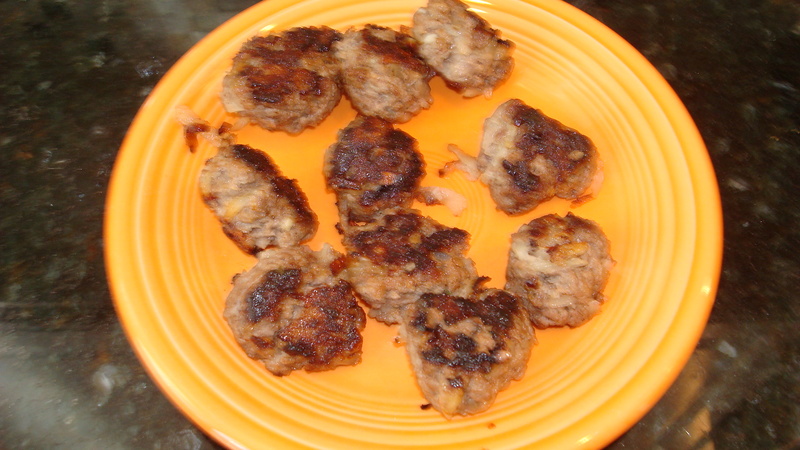 With moistened hands, roll into meatballs about 1 inch in diameter. You should have about 35 to 40. Coat a saute pan with the oil and brown the meatballs for about 7 or 8 minutes over medium heat, until they medium (just a bit pink in the center). Set aside until you are ready to use them, or let cool, cover, and refrigerate for up to 4 days. Cut the onions in half and then into 1 1/2-inch-thick slices. 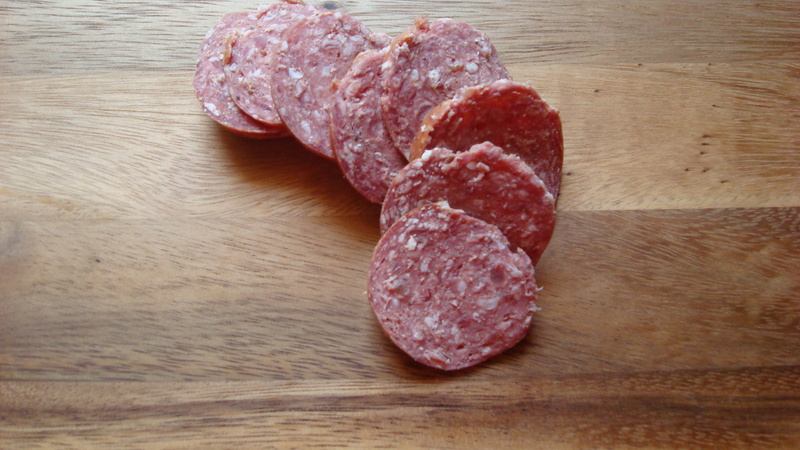 With your fingers, separate the slices into strips and put them in a medium bowl. Toss with the vinegar, oil, and thyme leaves. 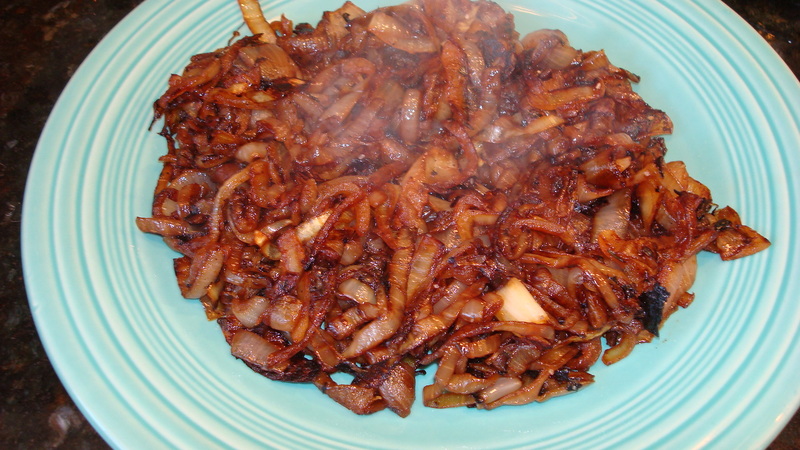 Transfer the onions to a 10-inch saute pan. Cover and cook, stirring every few minutes, over medium-low heat for 20 minutes. Do not burn. Uncover the pan and continue cooking, stirring occasionally, until the onions are golden and soft, about 30 minutes. Sprinkle with the salt, transfer to a platter, and set aside to cool to room temperature. Heat 2 tablespoons olive oil in a large skillet. Add onions and brown sugar and toss/stir for several minutes, or until onions are brown and cooked. Set aside. 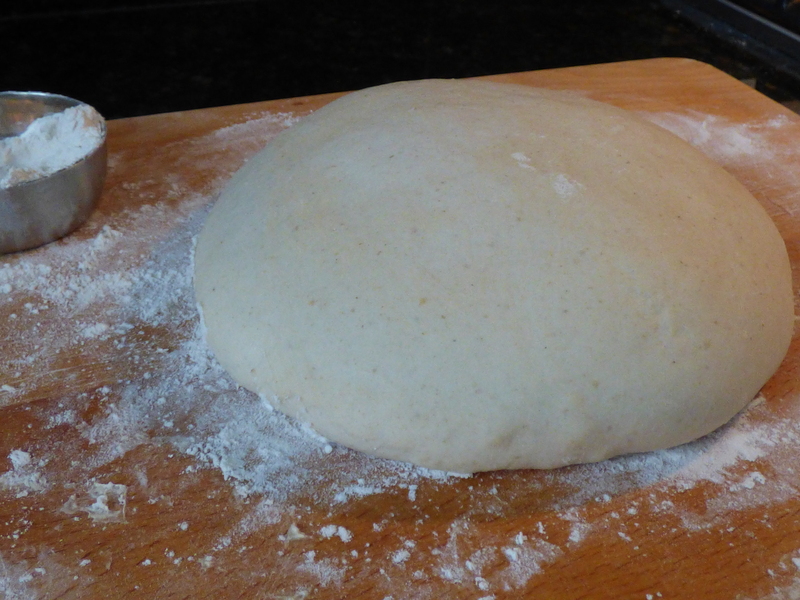 Roll out pizza dough. Drizzle olive oil, sprinkle on a little salt, followed by a little parmesan. 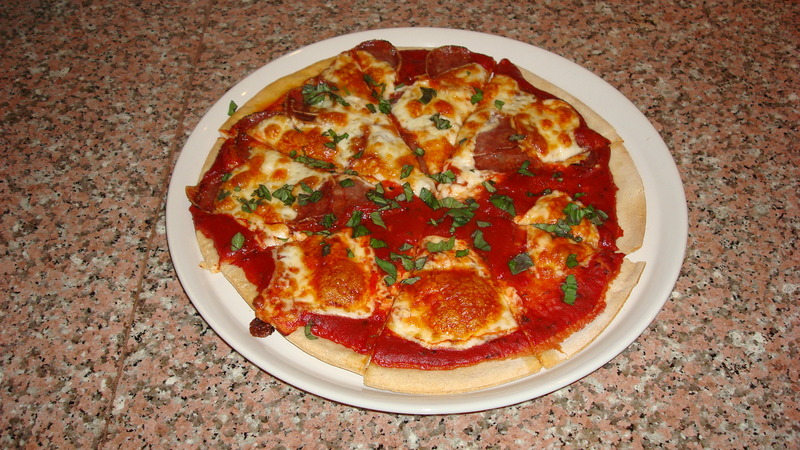 Lay slices of mozzarella evenly over the top of the crust. 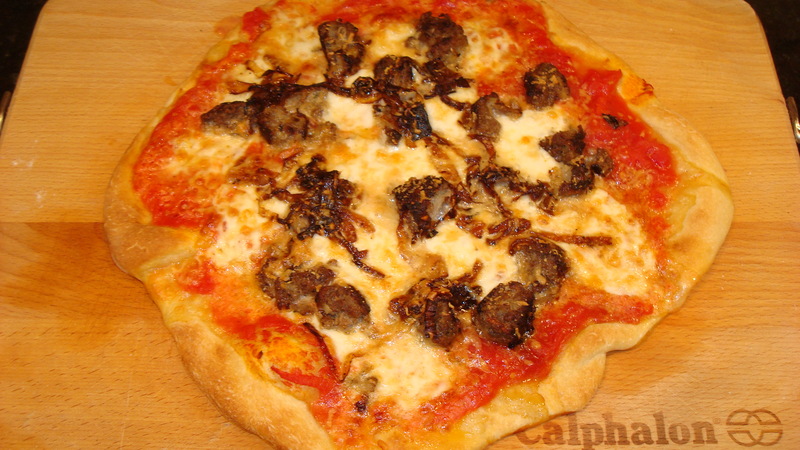 Arrange caramelized onions over the top of the mozzarella. 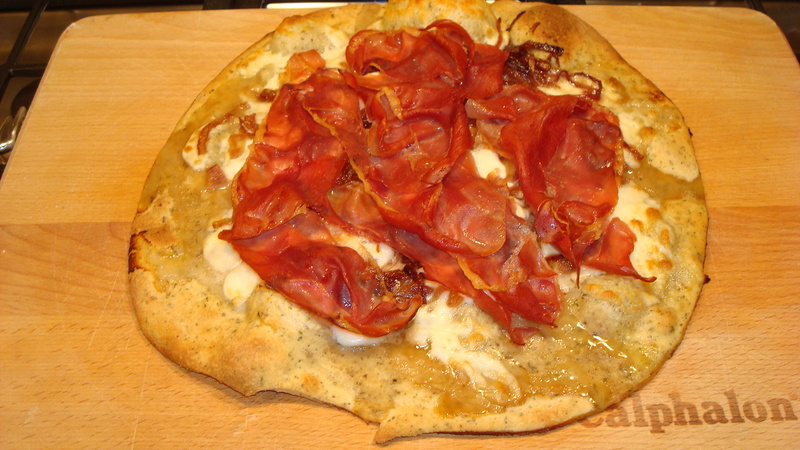 Randomly lay slices of prosciutto over the onions. Bake for 15 to 17 minutes in the lower half of the oven, or until crust is golden brown. 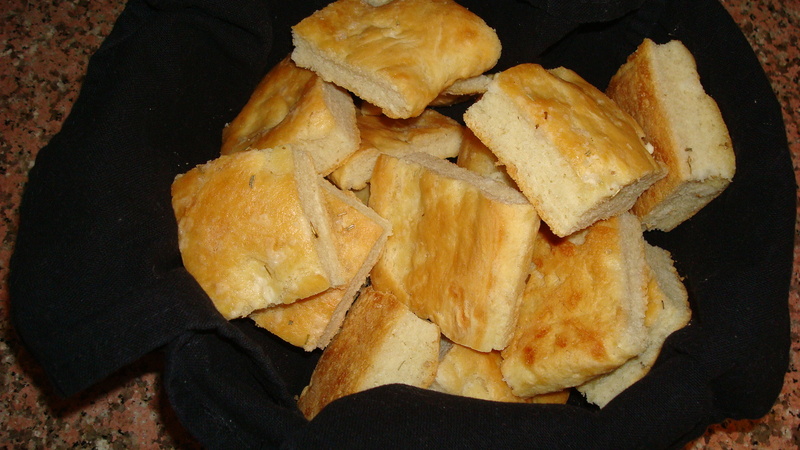 Remove from oven and cut into squares. Serve immediately. I’m happy to report that despite Raj’s reluctance, he happily enjoyed the switch and he is looking forward to a next Friday night’s “Surprise Friday Night Pizza.” Stay tuned. 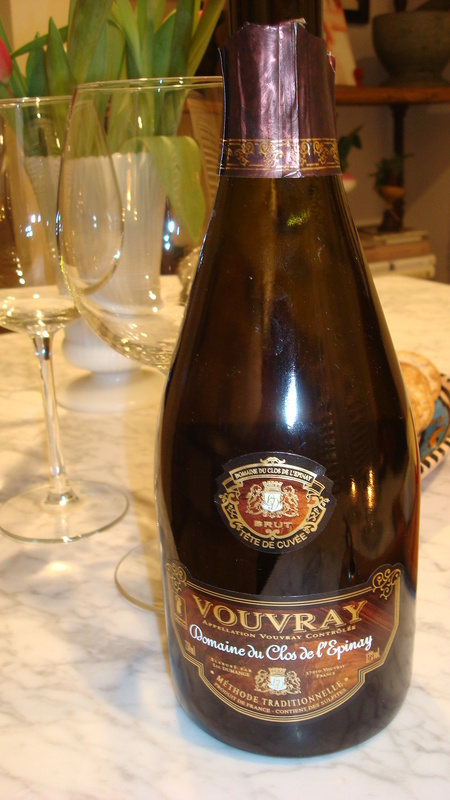 The accompaniment, a sparkling Vouvray.